No matter how many times we increase our data plan, we seem to always come close to going over our limit each month. My husband travels, so he is often the culprit as Wi-Fi is not always an option. With a second middle schooler in the house asking for a phone, this data issue is not going to end. I try to be so careful when using our phone and will even print out a recipe instead of looking it up at the grocery store. However, sometimes at a craft store, I will look on Pinterest for inspiration rather than printing out tutorials. 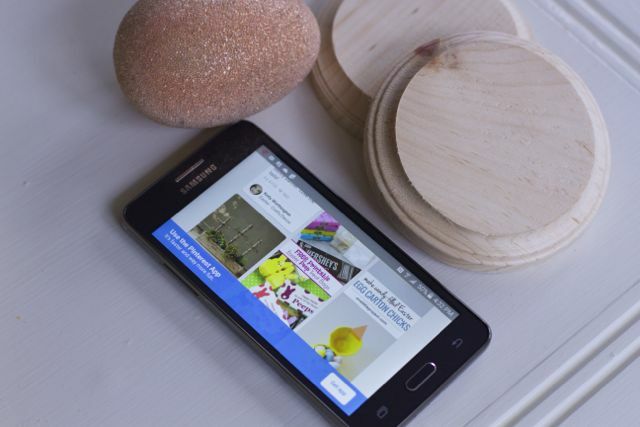 I recently found this Easter Egg Candle Holder on Pinterest and wanted to create something similar, so I kept going back to my phone looking for directions. All I could think of was, “Data Data Data.” What is a family to do when there are so many demands on the same data account? 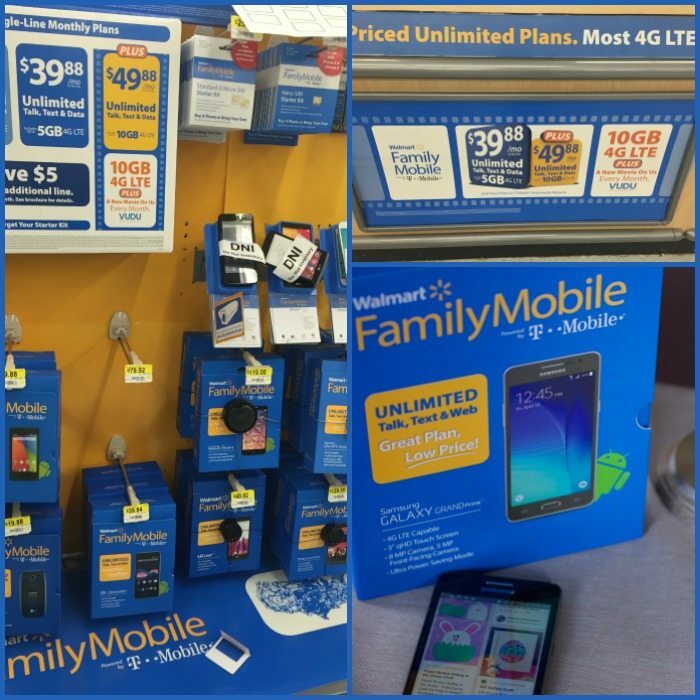 I started my first child on Walmart Family Mobile, and I am thrilled to hear about the Walmart Family Mobile PLUS plan featuring Unlimited Talk, Text, & Data which includes up to 10GB of 4G LTE data PLUS a free movie on VUDU ($7 value) every month per line for $49.88. This is such great news and will come in handy with tax season, as I can send info to my accountant without worrying about using too much data. A free movie each month will help us save on our cable bill, as we won’t have to rent one there. The kids can download a movie on SmartTV, a tablet, laptop or Chromecast and watch them on road trips so everyone is happy! This new plan is a win-win, and if you plan on getting a refund this tax season, head on over to Walmart to grab one of the many phones you can use with this plan. We went with Galaxy Grand Prime phone. It is a a great smart phone for the price. This phone takes pretty sharp and colorful pix with it’s 8 megapixel camera and 5 megapixel front facing camera with LED flash and 1080p HD video recording available. It has a long battery life which is great when I am on the run with the kids. 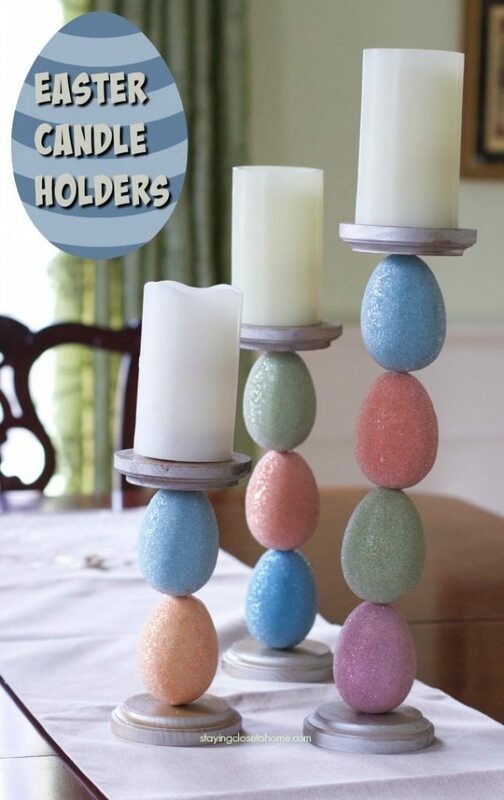 Now that we are saving money, we can use that extra bit to make some adorable Easter decorations, like these Easter Candle Holders. 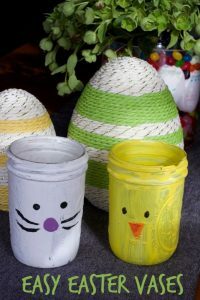 For less than $20 and about an hour of work (minus the time for the paint to dry), you will have adorable Easter decor that people won’t believe you made. 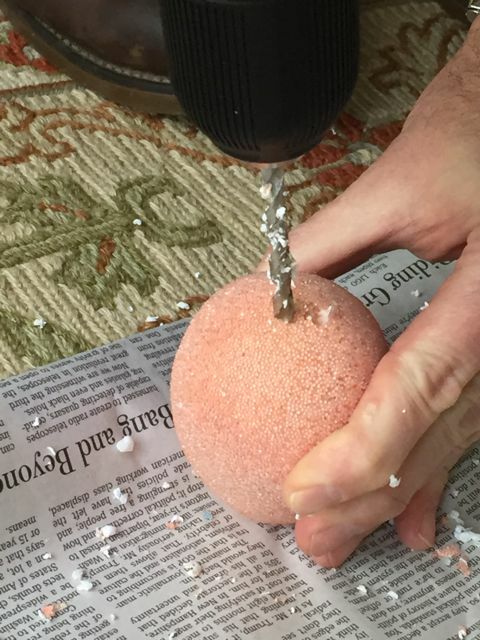 The original tutorial I found shows you how to create beaded eggs, but I found some that were already beaded and knew that these would save time and money. 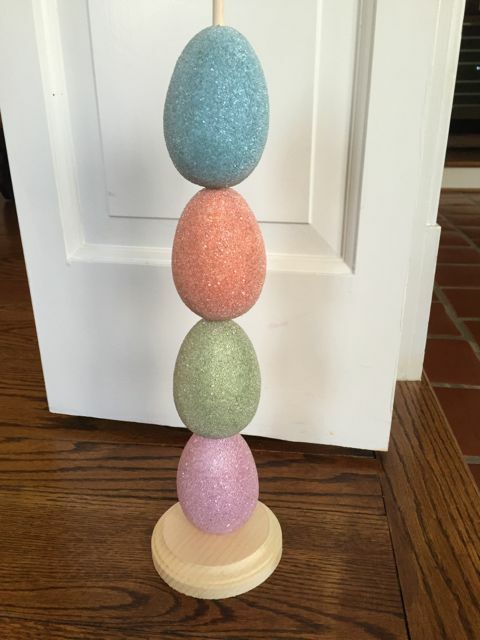 Beaded Easter Eggs, or make your own. 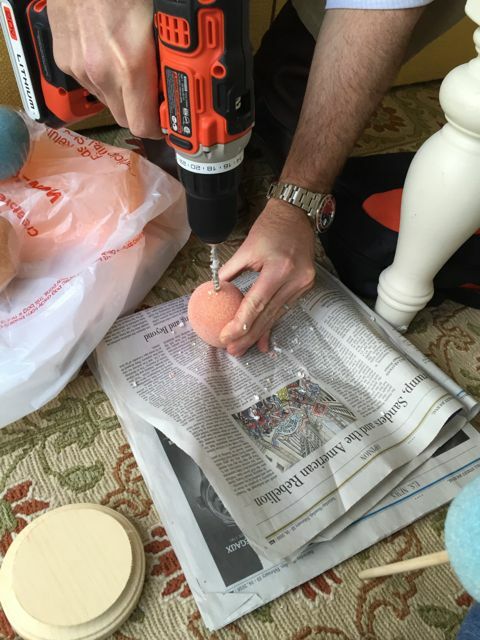 Start by drilling a hole into the ends of your Easter eggs. Mine turned out to be styrofoam so this was a little messy. Drill a hole into your wooden plaques, going deeper into the wood on the bottom plaque. Cut the length of the dowel to fit the number of eggs in your holder, with about 1/3 of an inch on each side. 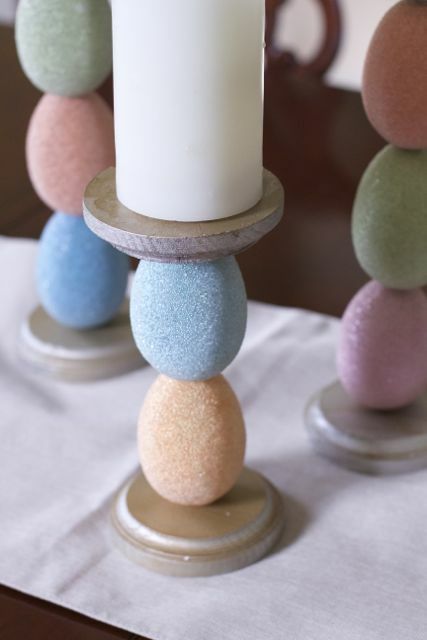 Spray paint the top and bottom of the Candle Holder. Allow to dry completely. 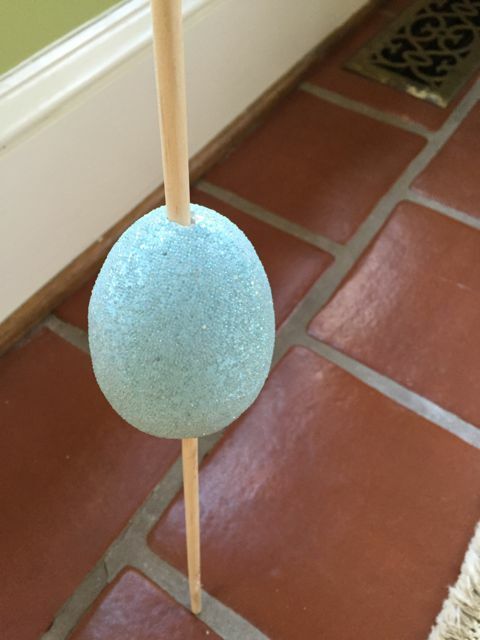 Next, weave the dowel into each egg and attach to the wooden plaques. You can add wood glue in the holes if it is not a tight fit. 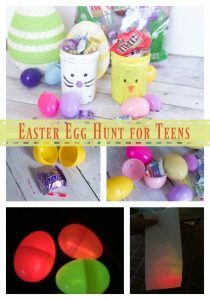 Add a battery operated candle to your new Candle Holders and you have yourself an adorable and inexpensive Easter decoration. 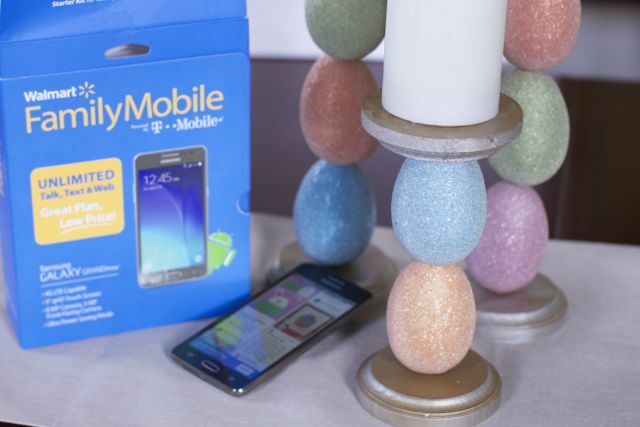 You have stayed within budget and have used your savings from making the decision to move to Walmart Family Mobile PLUS. How do you regulate your data among several users? Love WFM – great way to stay on budget. Also, those candle holders turned out perfect. I love them!! Great colors and so ready for Spring and Easter time! These candle holders are too cute! They would look great on my dining table for Easter dinner! 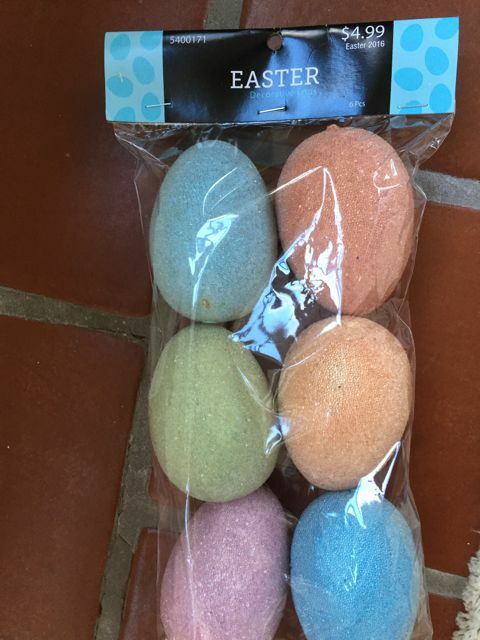 Those are really cute and would look great at Easter. Looks like a fun and easy project…older kids would love helping out for sure. I agree, we have them on our Dining Room table, I think they would look great on a mantel as well. 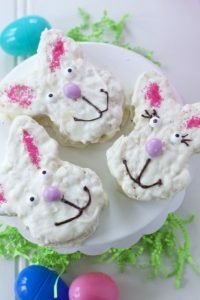 This is a really cute Easter craft with adorable colors. They can be displayed proudly just about anywhere. What a great idea. I love making crafts like this – it is so nice to be able to personalize them and make them fit perfectly in my home. I have to check out the Walmart phone system. I know it would be a money saver for my family.